Advice and tips for making the most of your holiday to Florida! Home / Posts / Tips / Expert Views / Ask The Disney Geek! Welcome to Ask the Disney Geek section. This section is a partnership with our friends at DisneyGeek.com. If you have a question about Walt Disney World Resort, let us know and we will pass the question onto to our Disney expert. Who are you and what is DisneyGeek.com? DisneyGeek.com started way back at the dawn of internet time, 1994, as Jason’s Disney Facts and Opinions and then in 2000 we became DisneyGeek.com. The site started off as a guide to the Disney parks here in the States. We focused on Walt Disney World since it was my favourite place to go on vacation, and on Disneyland, since we live in Southern California and the park is only 70 miles away. As time went on and internet technology evolved, the site has grown into what you see today. We have several columns, park guides and large pictorial sections that take you on virtual walks through the park so you can experience the park as we do and see it through our eyes. I have been to Walt Disney World Resort in Orlando 19 times over the years and I go to Disneyland once or twice a month on average. I do not claim to know everything, but I do know quite a bit and have quite a bit of experience at the parks and really do enjoy sharing this knowledge and my opinions with people. 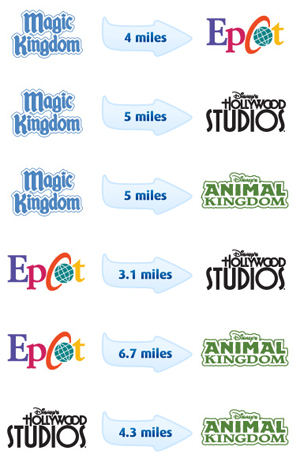 How far are the parks from each other? Walt Disney World is an extremely large place. It’s 47 square miles and encompasses the four main theme parks, 2 water parks, over a dozen resorts, six golf courses, a night time entertainment complex, shopping, dining, and not to mention all the infrastructure to support this including parking lots, roads, backstage facilities, etc… Getting around the property involves some time and effort and your choices range from buses, to monorails, to boats and everything in between. What are the best times of the year to go? November/December and March/April seem to be the mild months of the year. The summer weather in Orlando is hot, humid, and thunderstorms blow through almost every day. This leads into Hurricane season in August/September/October. January and February are a bit unpredictable and can be a little on the cool side. In May it starts to warm up for the summer. The crowds dwindle as Fall approaches and then pick up again for the Holidays and stay fairly constant give or take through most of the winter. There is another lull in early spring as long as you avoid the Easter Holiday. The crowds are dictated by the School calendar – when kids are in school its usually less crowded. December because Disney really goes all out for the Christmas Holiday and the decorations and holiday spirit really bring the parks alive. This is during hurricane season, September/October as well as in the Spring there is usually a value season. Is it worth staying for the firework shows and what is the most impressive one? Wishes is the closest Disney comes to a traditional fireworks show. It is shown most nights at the MK year round. It combines high and low level fireworks, projections on the castle, a flying tinkerbell, and a musical soundtrack to really close your day at the park with a magical experience. For the best effect and viewing I would recommend finding a spot on Main Street where you have an unobstructed view of the castle and the area off to the right and directly behind the castle. Another great option is to watch the fireworks from one of the Disney resorts, I especially like the Polynesian resort. The music is piped in and you have a great view across the Seven Seas Lagoon (note though its hard to see some low level effects and projections. This is my favourite night time show and its held every night at closing time for EPCOT, usually 9:00pm. The show takes place on, around, and above World Showcase lagoon and there are good viewing spots almost everywhere around the lagoon. While finding a location two things you want to consider. First is which way the wind is blowing. Be sure its at your back. If you are downwind the smoke will blow right in your eyes and its not a good experience. The second is to make sure you have an unobstructed view to the center of the lagoon. You will see several barges being brought out in the afternoon to prepare for the show. I find this to be the most impressive show because of the size, proximity to you, and breadth of the experience. This is not a fireworks show, but instead a night time parade that happens on select nights. It winds its way along the parade route that goes from Main Street USA, through Liberty Square and ends in Frontierland. There are also special event fireworks that occur throughout the year. The largest displays happen on the 4th of July. EPCOT and the Magic Kingdom each add a grand finale number and the Studios adds a special show too. Special shows are also added for New Years Eve at each park. Special parties such as the Very Merry Christmas Party and the Halloween events at the Magic Kingdom also have their own fireworks displays. Lastly at Christmas time (usually the month of December) a special ending for Illuminations and a Holiday version of Wishes are run.Note: The Animal Kingdom does not offer fireworks or night time shows due to the nature of the park and its early closing times.I have pictures of these shows in my WDW Update from April 2008. Visit DisneyGeek.com and go to the last few pages of each day to see them. Where can I meet my favourite Disney characters? At the Magic Kingdom you can usually find characters on Main Street, either in Town Square or in Exposition Hall. There are several other meet and greet locations throughout the park, be sure to check the current park guides for what is operating during your visit. Some locations to check would be to your right as you enter Adventureland. Further up the trail you can sometimes find Woody and Jessie out near Splash Mountain on the left. In Fantasyland you can find the Fairy Godmother or a Princess out from time to time. Characters are often seen roaming World Showcase at the various countries that their stories came from.. for example Brother Bear is at Canada, Winnie the Pooh and Mary Poppins at the UK, etc.. In Future World there is a spot called the Character Connection near Innoventions West that usually has a handful of characters throughout the day. The other two spots characters show up are right at the entrance to World Showcase and near the parks entrance. You can often find characters at the end of Hollywood Blvd in front of the giant hat. There are also scheduled characters along Mickey Ave and in the backlot area the Toy Story characters can be found too. The two main spots to find characters are in Camp Minnie Mickey and in the photo area that is located to the right as you head toward Dinoland USA. Other than that there are some random sitings here and there, but those are the two main locations. 2011 marks a year of waiting for the Magic Kingdom. The construction on the Fanstasyland expansion is in full swing with the early pieces opening next year. Mickey’s Toontown Faire is now closed and gone to make room for this expansion. New this year is the Magic, the Memories, and You! which is a projection show that takes place on most nights on the castle. Included in the show are several images taken of guests throughout the day. The Main Street Electrical Parade is also sticking around this year. On Main Street, starting this spring, you can get a Fastpass to get your picture taken with your favorite Disney Character. Out at the Haunted Mansion a new interactive queue has opened. At Disney’s Animal Kingdom there is a new tour that started recently, the Wild Africa Trek which allows you to get a different view of the Kilimanjaro Safari, this time on foot. At EPCOT there is nothing new on the immediate horizon, but in case you missed it Captain EO returned to Imagination Pavilion late last year. At Disney’s Hollywood Studios there is a new Pixar parade that replaced Block Party Bash and opening May 20th will be a new version of Star Tours that features new destinations and a 3D film. What you definitely shouldn’t miss? Spaceship Earth, The American Adventure (it’s a great showcase of Disney storytelling blending film and audioanamatronics). What else can you find out on DisneyGeek? In addition to some basic information and opinions on both Walt Disney World and Disneyland on DisneyGeek.com I try to share my Disney experiences. Our most popular sections are the pictorial updates. As I roam the parks I take pictures (I average 300-500 pictures a day). I then go through these pictures and create trip logs and web pages to show the highlights of the trips. I do this for both Disneyland and Walt Disney World. Another popular section is our Construction Progress section where we track ongoing, major, projects at the parks. Plan ahead. Take some time to learn about the parks and identify your top priorities, what is a must see, what looks interesting, and what can you do if you have done everything else. Have some sort of game plan/objectives for each day, but do not try to plan everything down to the minute, leave room to improvise! What you do not want to do is arrive at the park stroll down Main Street then spend 5-10 minutes trying to figure out where to go. Part of planning ahead, if you want to eat at any of the more popular table service locations, be sure to get reservations early so you will not be disappointed. Be sure to allow enough time to see everything you want and then some time for the unexpected or to go back and see your favourites. To save some time, be sure to take advantage of FastPass. This is a free Disney service and if used properly can save you some time in line. Be sure to slow down and experience the parks. Do not just run from attraction to attraction. Soak in the atmosphere, the live entertainment, and other offerings. I think one of the biggest mistakes people make is to try and cram too much into each day and by the3rd or 4th day you are “dead” and just cannot keep pace! This is particularly true if you also plan to visit other parks like Universal Orlando, Discovery Cove , SeaWorld Orlando or Busch Gardens – do not try to cram all of them in! If you are staying on property take advantage of the Extra Magic Hours, these will help you visit some of the more popular attractions with minimal waits. Be prepared for anything… both weather wise and crowd wise. Do not be afraid to ask questions. Cast Members as well as other guests are usually more than happy to help you out and give you a tip or two along the way. Everything we (think we) know about Universal Orlando’s Newest Theme Park…. Simon is in charge of the marketing and product teams at FloridaTix. He loves planning holidays, sightseeing and forcing himself on rides he’s secretly terrified of.